Living in museums, overthinking culture. 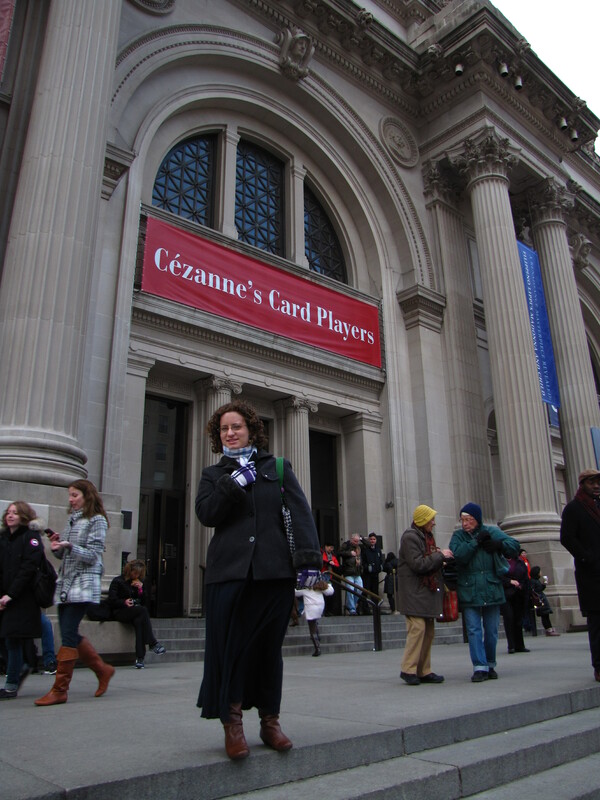 I’m a museum curator who loves to investigate decorative arts, architectural history and the material culture of religion. As a museum-goer, neither dinosaurs nor first-person interpreters scare me, but mummies can give me the creeps. I love pop culture almost as much as history, and this is my little corner of the internet to ponder how the two intersect. I named the site for Claudia Kincaid, the heroine of one of my favorite books, From the Mixed-Up Files of Mrs. Basil E. Frankweiler. When I was younger, I envied her adventures running away from home to live at the Metropolitan Museum of Art. Now I realize I would be one of the confused staffers finding her violin case of gray laundry hidden in an exhibit.